When a plumbing problem happens, the last thing you want to do is have to search for a good, reliable plumber. 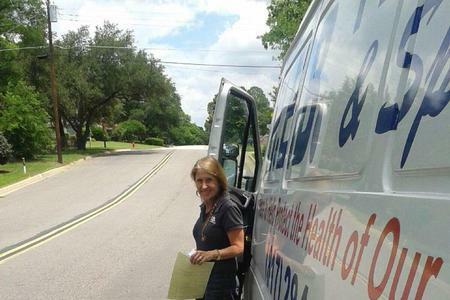 Homeowners and renters in Tarrant County know they can trust the plumbers at HEB Plumbing & Sprinkler-Kathlyn Smith to handle any routine or emergency plumbing problems that arise. Operating out of Bedford, TX, HEB Plumbing & Sprinkler provides professional, reliable residential plumbing service to homeowners and renters located across Tarrant County in Texas. Whether it is a clogged toilet, leaky kitchen faucet, or a bathtub that is slow to drain, HEB Plumbing & Sprinkler is there to help. HEB Plumbing & Sprinkler provides a comprehensive selection of residential plumbing services. Our professional plumbers inspect plumbing systems for problems, replace old pipes, and install new kitchen sinks and bathtubs. Locate and repair leaks in water, sewer, and gas line in your home or building, in yards, or under Pier & Beam houses. 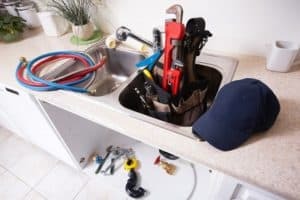 In addition to responding to common residential plumbing problems, the plumbers at HEB Plumbing & Sprinkler provide maintenance services to residents and renters located in Bedford, TX and surrounding areas. Using our maintenance services, our clients have their plumbing systems regularly inspected for common problems. Early detection of common plumbing problems helps prevent emergencies from happening. Plumbing emergencies that are not only frustrating and stressful to deal with, but that could cost hundreds of dollars to fix. Call us today to learn more about the inspections available to homeowners. No one wants to wait around for a plumber to come and fix a plumbing problem, especially when it is an emergency. Our professional plumbers understand your time is valuable, which is why we respond to all plumbing problems in a timely manner. Whether it is a blocked drain or a sewer leak, we will respond in a quick, prompt manner. To receive the best residential plumbing services in the Bedford, TX area, call HEB Plumbing & Sprinkler to schedule an appointment. You will be in good hands when you call us to handle your residential plumbing problems!